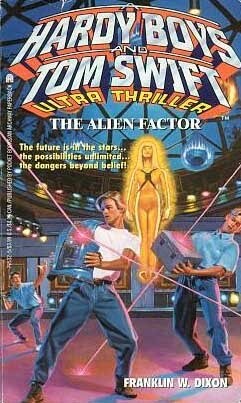 Tom Swift has caught a falling star---a visitor from outer space who is as beautiful as she is strange. But his secret encounter has set off alarms at the highest levels of government. A top-secret intelligence agency believes he's involved in an espionage and smuggling ring. To check Tom out, the Network sends two of its top operatives: Frank and Joe Hardy. But when the alien is kidnapped by a sinister industrialist, Frank and Joe and Tom realize that they have to work together. They're dealing with a conspiracy that stretches from the farthest reaches of space into the deepest recesses of their own government. The fate of the country and the planet could rest on uncovering the shocking truth about the girl from another world!